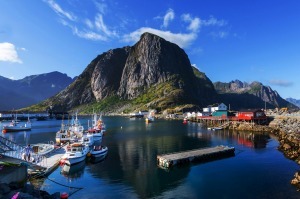 ﻿Take a bite of the Apple Isle for hidden hotel gems, historic farmstays and remote eco lodges. 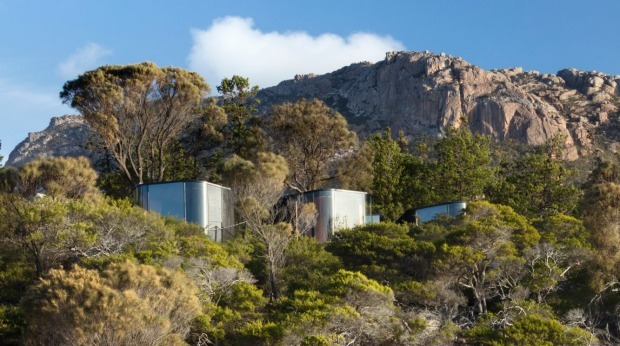 THE LOCATION This lodge is in the spectacular Freycinet National Park, where the pink granite peaks of the Hazards plunge into unspoiled Coles Bay. THE PLACE A series of new luxury bungalows have rocketed the Royal Automobile Club of Tasmania's somewhat well-worn original lodge, a leisurely 2.5-hour drive from Hobart, into the 21st century. 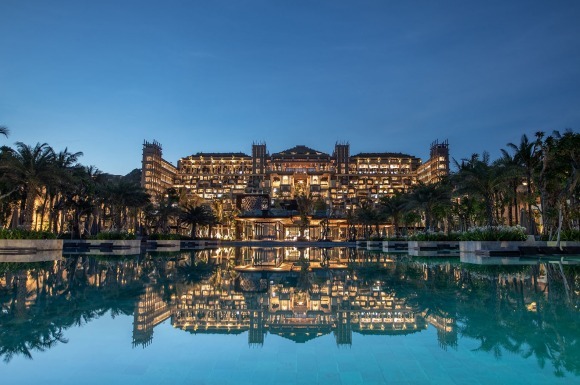 With nine space-age coastal pavilions and six family-friendly mountain terraces dotted through the bush near a cosy central clubhouse, it gives nearby exclusive resort Saffire a run for its money. RACT members get a 25 per cent discount; other auto club members 15 per cent off. THE EXPERIENCE The wildly original Coastal Pavilions look like they belong in a futuristic film. 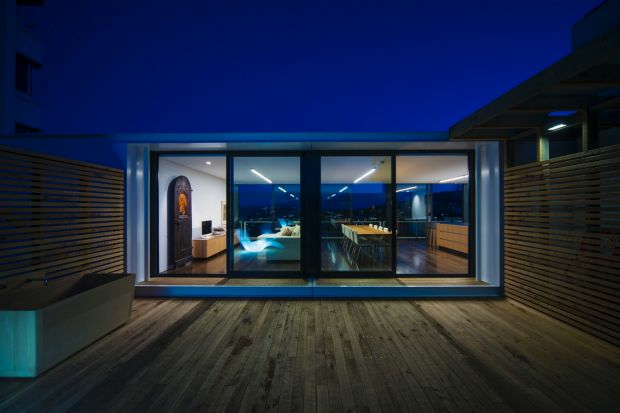 Designers Liminal Studio and builders Cordwell Lane created the pods with minimal impact to the surrounding bush, and they offer a striking connection to the landscape. The two-room, two-person timber cabins are wrapped around a sleek bathroom, with expansive curved glass windows bringing the outside in. Swish mod-cons, lavish beds, breakfast hampers and Australia's best outdoor bath on the deck make this an out-of-this-world eco escape. DON'T MISS Exploring the natural landscape which abounds outside your door, either on foot or from inside a canoe. IDEAL FOR Going off the grid in the lap of luxury. THE LOCATION Riverside on the Tamar is a part of Launceston in transition – there are still big-box stores nearby, but a $9-million river-bank upgrade is underway. It's a stroll from the Silo to the CBD. 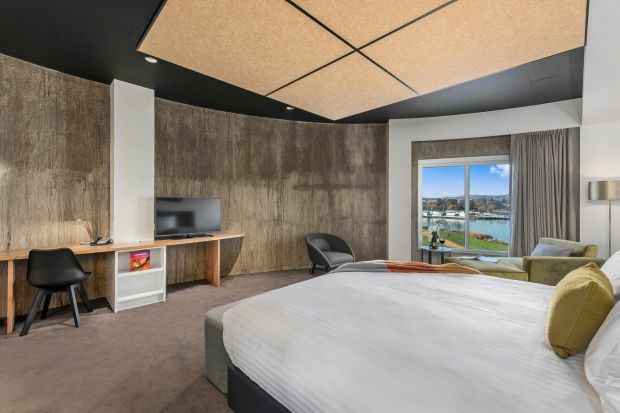 THE PLACE The massive 35-metre-high barrels of these former grain silos, dating from the 1960s, have been transformed into hotel rooms and public spaces. A new north tower holds more rooms and reception areas. THE EXPERIENCE The idea of rooms in the round can be unsettling, but these have been brilliantly designed. The silos have been halved, so each room has a straight and a curved wall. The Gorge River rooms are spacious with big views and a welcome balcony. There's a gym on site, a couple of bars and the restaurant, Grain. The food continues to be rated well but the hotel service has had mixed reviews since opening earlier this year. DON'T MISS Take the hotel dog, Archie the black lab, for a walk and be surprised at who'll stop for a yarn. If you're there on a Saturday morning, be inspired by the abundance and diversity of Tasmanian produce at the Harvest Market in nearby Cimitiere Street. 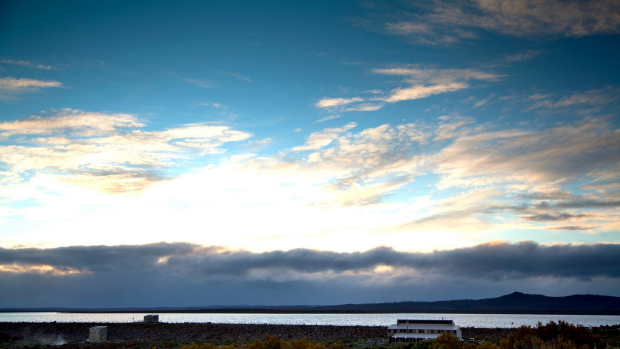 IDEAL FOR Couples or singles on a weekend escape or the Launceston leg of a Tasmanian tour. 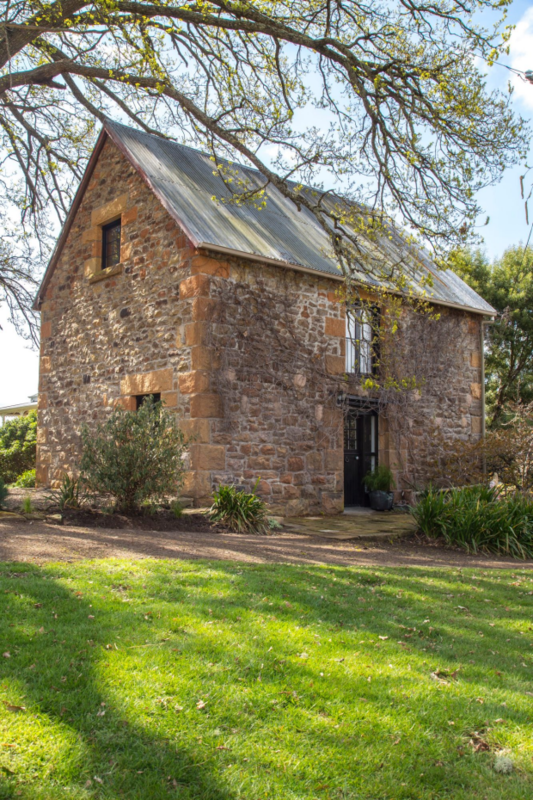 THE LOCATION Twamley Farm is a 2833-hectare historic working farm at the head of a beautiful valley, an hour north-east of Hobart. Owned by the Turvey family since 1874, accommodation includes a modernist "Farm Pod" (complete with optional bell tent in warmer months), and an 1840s two-storey sandstone converted stable block beneath century-old oak trees. THE PLACE The stable is a perfect cross between Jane Austen and Laura Ingalls Wilder. Think Georgian window panes and rough-hewn beams; climbing roses and antique hand-cut stone. THE EXPERIENCE How much rural beauty can you handle? Meet the animals (donkeys, dogs and sheep) or commune with nature (11 of Tasmania's 12 endemic bird species are found around the farm). Discover a picturesque dam with a restored rowing boat, and several trout fishing holes on the Tea Tree Rivulet that flows through the property. There are several beautiful walks, including one up Charlie's Hill, with a restorative cache (a bottle of port, with plastic cups) at the top. DON'T MISS The gourmet picnic hampers full of local produce; a morning of angling with trout-whisperer and Turvey uncle, Robin; or a barbecue in your private fire-pit beside the house. There's even an after-dinner treat hidden inside the billy. IDEAL FOR History/farm/landscape/food/wine/fishing/donkey enthusiasts. That is, pretty much everyone. THE LOCATION A cantilevered eyrie atop a 1967 office tower in central Hobart, this retreat affords awesome views. THE PLACE Avalon is all about luxe living, lightly stated: cashmere throws, custom-made beds, whisky glasses for 12. Reached via stairs (and therefore not suitable for those with mobility issues), the "Omnipod" has two floor-to-ceiling glass exterior walls. It's like sleeping in the sky. With really beautiful bed linen. And complimentary French bubbles. THE EXPERIENCE Your lofty nest comes with gourmet food supplies to prep in a cook's dream kitchen with Scholtes appliances and Royal Doulton crockery. A huon pine dining table and a barbecue deck beg you to stay put. Don't feel like cooking? Summon room service from the Astor Grill across the road. Fluffy gowns and slippers and bespoke bathroom products invite languid ablutions. DON'T MISS The hand-hewn wooden outdoor bath. IDEAL FOR The architecturally inclined. One or two couples (who might want to host a dinner party for 10). THE LOCATION This was once a training venue for Antarctic expeditioners; there's a hint you'll be bumping over the heath to a remote, weather-beaten location. THE PLACE Two big common areas build the feel of a lodge: one is library-like with big picture windows; the other has a wood fire, leather couches and is also the bar and dining area. Guest rooms upstairs come as standard (no ensuite) and premium. Both were big enough, although short of storage. THE EXPERIENCE If you're not sheltering from the weather, get out in Tasmania's high country. You'll meet wallabies every few metres who'll take a few lazy hops to move from your path and then gaze curiously back. This is one of the best places in the world for trout fishing, and guiding services are available. Only a continental breakfast is included, which is a little quirky, given the isolation; look for deals with meals included. DON'T MISS Riding the lodge's fat-tyre e-bikes on tracks past lakes, lagoons and streams. IDEAL FOR Fishers, hikers, bikers and anybody contemplating a complete escape. THE LOCATION This beautifully restored 1870s manor house sits atop a hill a 15-minute stroll from Hobart's CBD. THE PLACE When Julian Roberts, his wife Chaxiraxi Afonso Higuera and uncle Douglas Blain purchased Corinda, they returned the home of Julian's great-greatgrandfather – and Douglas's great-grandfather – to the family fold. 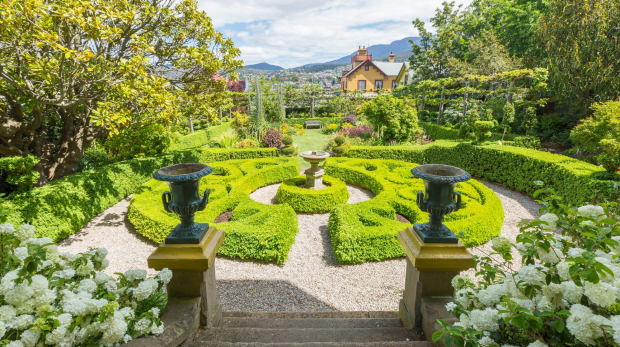 More than 100 years after his death, it's likely timber merchant and Hobart lord mayor Alfred Crisp would still recognise his lavish home and beautiful grounds, built on the site of a convict vegetable garden that once fed the fledgling Hobart Town colony. 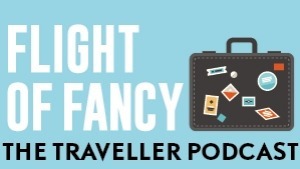 THE EXPERIENCE Douglas Blain has an eye for old properties that make great accommodation; he's the owner of (among other things) London boutique hotels Hazlitt's and The Rookery. He leaves his younger relatives to run this Hobart property, which comprises three cottages, two contemporary apartments and the manor house with six guest bedrooms. The jewel is the manor's Alfred Crisp suite on the first floor, with views across to the Derwent and heritage touches in every corner. The fire-lit loungeroom with its "honesty bar" invites a cosy drink before (or after) dinner. DON'T MISS Lingering in the sun-drenched breakfast room over a locally sourced repast. IDEAL FOR Relaxing into a slower, bygone era.